Sukumari's eldest son is Sukumar (Suku).He is working as Estate manager at Bangalore.He is married to Shoba.He has two children,Sharath and Santheep. Sukumari's second child is Sivakumar (Ani).He is in Government services,based at Palakkad.He is married to Chandrika who is a teacher at Govt Boys High School,Chittur.Their only son is Sachin. 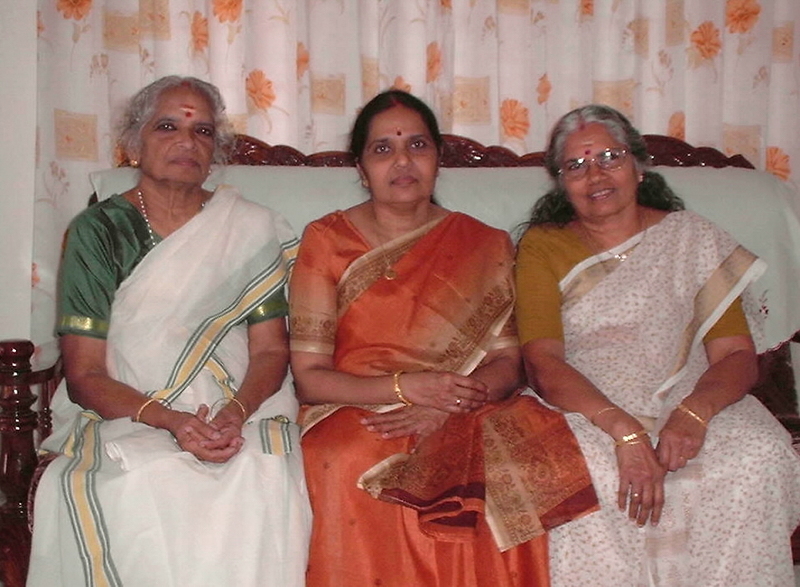 Sukumari's third child is Sumangala (Suma).She is married to Nandakumar,who is an Engineer by profession. They used to work at Dubai.Now Suma is settled at Palakkad while Nandakumar is employed at Muscat,Oman. Their only daughter,Nandana is working in Infosis.She is married to Murali. Chandrika's eldest child is Chandraprabha (Prabha).She is married to Raveedran Mannadier, who is theChairman & Managing Director of Labindus Pharmaceuticals and Herbindus Pharmaceuticals. They have two children,Chandrashekaran (Chandu) and Prabhakaran (Prabhu). After his studies, Chandrashekaran has joined the company as Director along with completing his MBA, Prabhakaran is doing his MBA at Coimbatore. Their second child is Chadraprakash (Prakash).He is a Businessman. He is married to Janaki (Usha) who is an Advocate by Profession who is now working in a Legal Process Outsourcing company as operations head for India .Their only child is Advaita (Ammu). 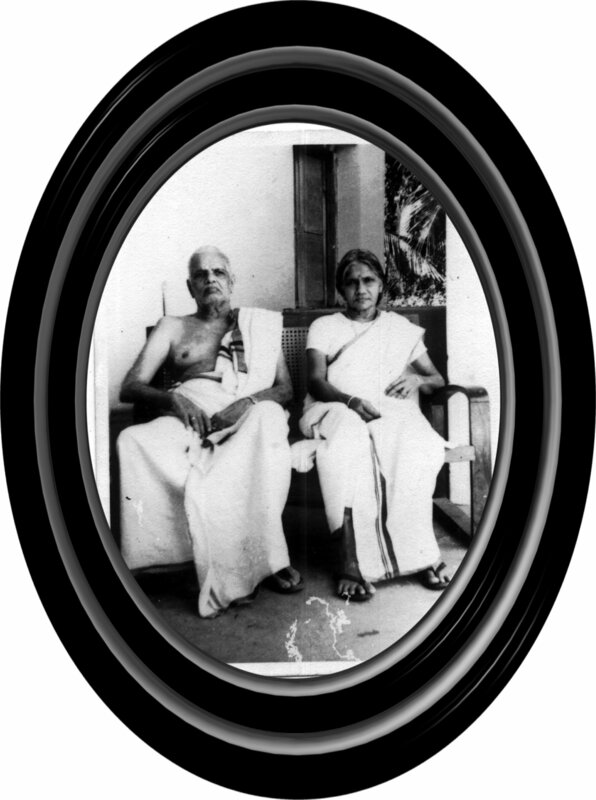 Santha's eldest child is Dr Suresh Gopinath (Suresh). He is practicing as a Nephrologist at Kottayam.He is married to Dr Sumithra who is a Gynecologist who is also practicing at Kottayam.He has two daughters,Niveditha and Neethika. Shantha's second child is Dr Ramesh Gopinath (Ramesh).A product of IIT,Chennai,he is currently employed with IBM based in Newyork.He is married to Kalyani.He has two children,Divya and Bhavya. Santha's third child is Dr Dinesh Gopinath (Dinesh).A product of IIT,Chennai, Dinesh is currently based in Boston.He is married to Valerie Clara.They are settled in Boston. The have been blessed with a baby girl, Asha Juliet. Hema's only son Manoj Ambat (Manoj)is currently practicing as a Lawyer at Palakkad. Unni's only child Kalyanikutty (Kallu) has completed her PhD in Nano Technology. She is married to Vinod. The marriage took place on 28.10.2009 at Palakkad.